Elixir 2 – Donation Key app is available on Google Play to remove ads, etc. You can support development by buying this application on Google Play. If you do so then ads will be removed and donators-only features will be enabled too. Now Personal add-on is needed to use Bookmarks, history widget because the permission needed for this feature is moved to the personal add-on. This change was mandatory because there are users who don’t want to allow this permission but would like to use Elixir 2. The top screen has a new Compact view to be able to display more processes on the screen. If you click on the eye icon you can select the previous List view too. The applications screen can now display if an application is disabled or not. 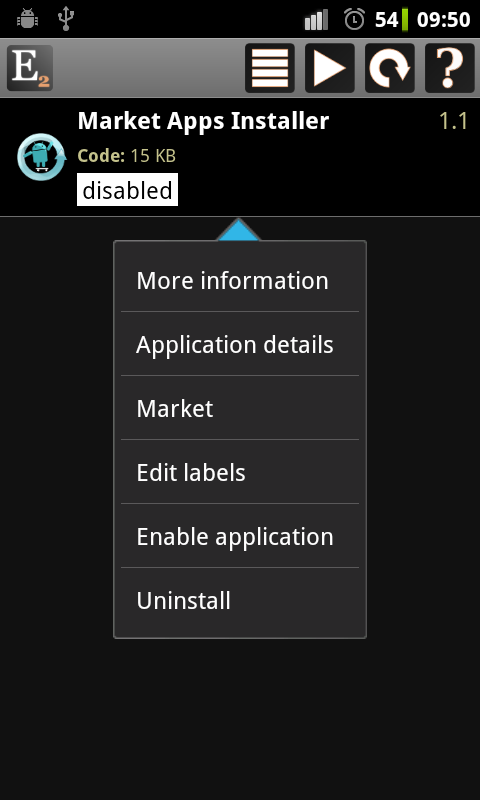 If you click on the list icon in the header you can filter disabled applications too. 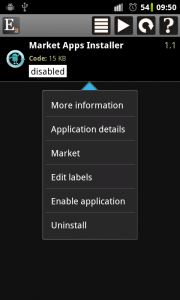 You can disable an application from the top screen too.